This week’s item is a wicker baby carriage for twins. 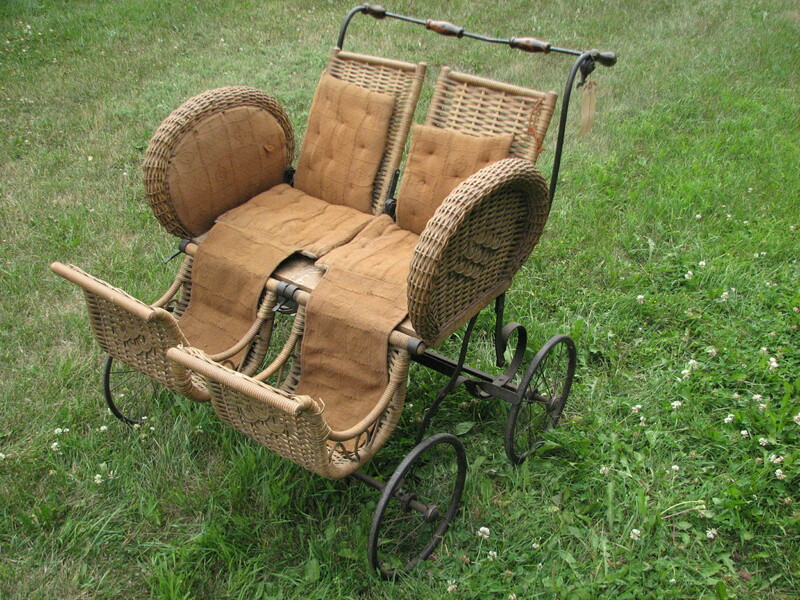 This baby buggy was used for Inez and Irene Taylor as infants. It was purchased second hand by their grandfather and dates to the 1890s. The twins donated it to the museum in 1961. It has wicker side by side seats with adjustable rounded foot covers and seat backs. It has an adjustable holder for a parasol, a foot break, and metal handle with wooden grips.There are pillow cushions on both seat, backs, sides, and in the foot rest. 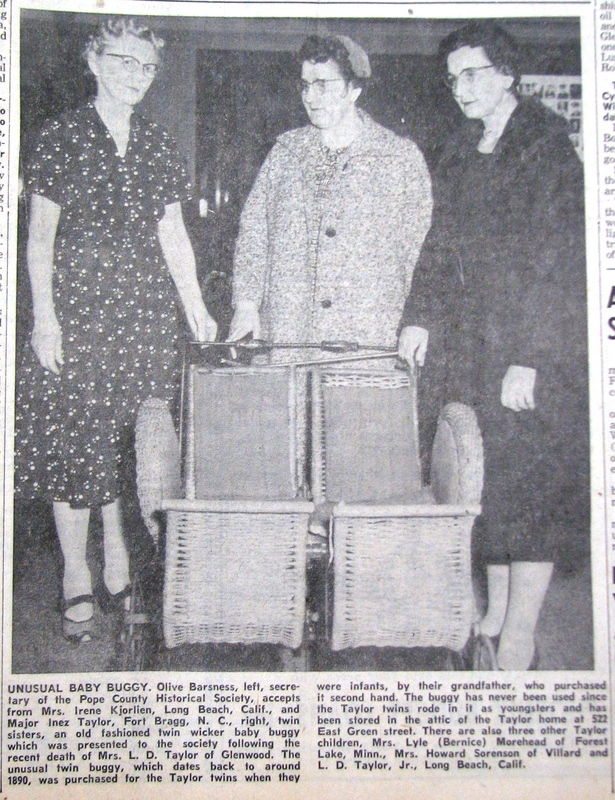 A photograph of the sisters making the donation was printed in the Pope County Tribune November 23, 1961. 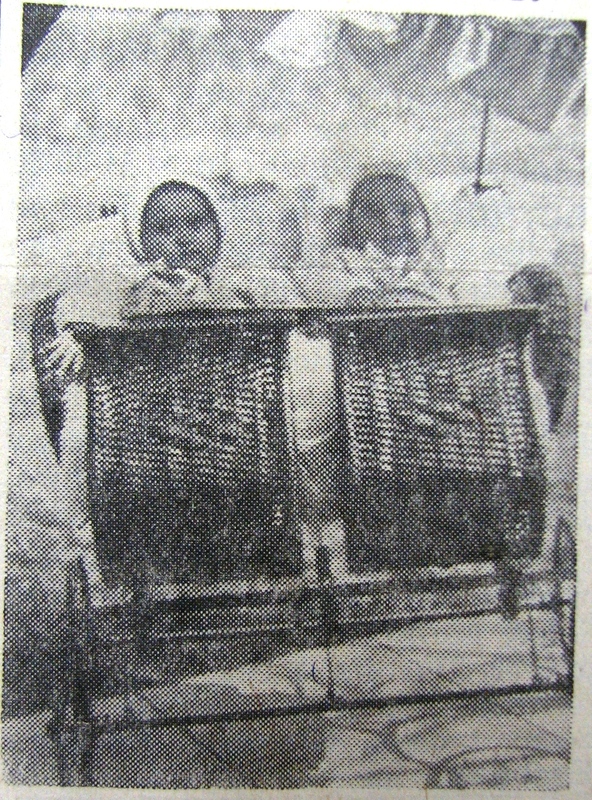 The following week, the paper ran a photo of the girls as infants, riding in the stroller. This entry was posted in Collection Notes and tagged Baby buggy, Inez Taylor, Irene Taylor, Pope County History, Pope County Minnesota, Pope County Museum, Twin baby buggy, wicker baby buggy. Bookmark the permalink.